What are the Common Types of Collapsible Soil in United States? Collapsible soil, in general, can be termed as soil that suffer or may susceptible to sudden and large volume changes under change in moisture content. The volume change is always reduction and change in moisture content means get wet of this soil. The determination of collapse potential of collapsible soil, geotechnical properties and performance under rainfall etc. were discussed in our previous posts. As discussed in last post collapsible soil induced foundation settlement is considered secondary foundation settlement as they can suffer settlement without increasing load or overburden pressure. Here we are concerned with uncontrolled fill, now what is uncontrolled fill? Fills compacted but have not documented about testing or effort types or amount of required compaction. The effort type is important as same compaction mechanism have different efficiency in different soils. Uncontrolled fill is observed now in rural areas having less care in inspection or structures which were built in many years ago when rigorous compaction requirements were not developed. 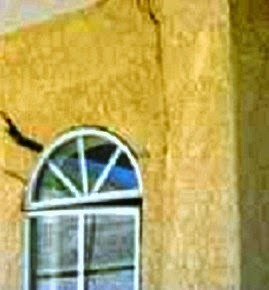 In loose deposit reduction in negative pore water pressure do the harm to foundation soil. Such loose soil deposit has structure that is collapsed due to reduction of negative pore water pressure; also called capillary tension. The capillary tension reduced under wetting of fill. For a moisture content and dry density, 1-D collapse is decreased with increase in clay fraction when clay content exceeds optimum value (generally small percentage). 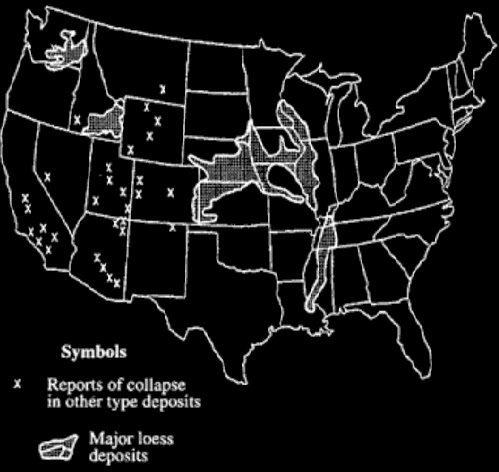 The natural soil deposits of collapse behavior are found in arid climatic condition of south western part of United States, the general mechanism involved in collapse is a result of breaking down of bonds within soil particles. Bonds break down due to weathering, at contact of coarse particles, of fine-particles brought by the surface tension within evaporating water. In some cases, colluvium or alluvium having unstable structure (like pin hole porosity) may collapse while wetting cycle passes through soil.